Previously in the article How to connect to a Linux server using secure shell (SSH) we learned how to connect to Linux server via SSH from Linux or MacOS X using OpenSSH client, or from Windows using PuTTY. In this tutorial we'll learn how to create SSH tunnel from our computer to the server. We will use this tunnel to connect to a MySQL database server on the remote server. This is useful if you don't want to open MySQL to the outside world on your remote server - a must for security. A tunnel is a exactly as the name suggests, a tunnel over SSH on which we'll forward a specific port. The port will be accessable on your local machine, but will be automatically forwarded to the remote machine so it appears as if you're remote service (MySQL in this case) is actually local. This doesn't just have to work with MySQL, it can be used for any TCP based service, such as HTTP on port 80. Open PuTTY and enter the server hostname or IP address. Next we need to setup the tunnel. On the Category page, choose Connection -> SSH -> Tunnels. Input Source port 3306. Destination 127.0.0.1:3306. Click Add. If your mysql server uses another port, ammend as such. The forwarded port is listed. Click Open. It will start SSH connection to remote server. You will need to enter username and password. After you're successfully connected do not close the PuTTY window because it has the SSH Tunnel to the remote server. Open MySQL Workbench and enter the hostname as 127.0.0.1 and port 3306 (unless different above). 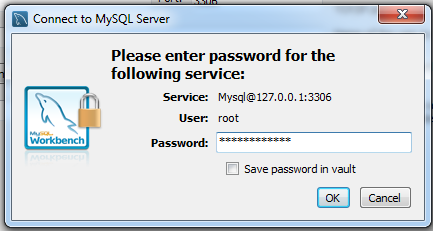 Enter your password for MySql on the remote machine. If successful the confirmation message is displayed. In the sample above we create SSH tunnel from local port 3306 on our computer to port 3306 on server.com. You can use both localhost or 127.0.0.1 interchangably. You have to specify host with -h and put 127.0.0.1 instead of localhost since mysql will try to connect to the local MySQL socket on your computer instead of the TCP connection via port 3306. 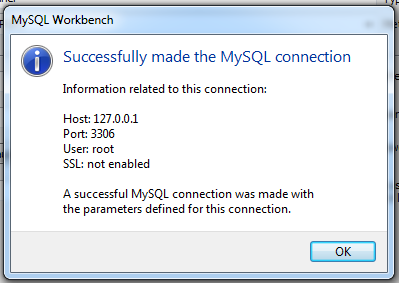 If you want to use a GUI MySQL client you can try MySQL Workbench. This is a free MySQL client that is available on Windows, Linux and MacOS X. In this part we'll connect via MySQL Workbench on MacOS X. Make sure that you have already created the SSH Tunnel to the server. In this tutorial we learned how to create an SSH tunnel and how-to use the tunnel to connect to a service on the server. Using SSH tunnel is the best practice (in terms of security) connecting to remote MySQL Server instead of connecting directly to remote MySQL Server. If we don't use the tunnel we have to make MySQL listen to a non localhost interface and also open a firewall for port 3306 so another server can connect, which is very insecure. Furthermore, if you connect to MySql remotely directly, the MySQL connection is not encrypted and is transferred in plain text over the network/internet. By using an SSH tunnel all data is encrypted.